Eastern Towhee Goes, "Drink your TEA!" 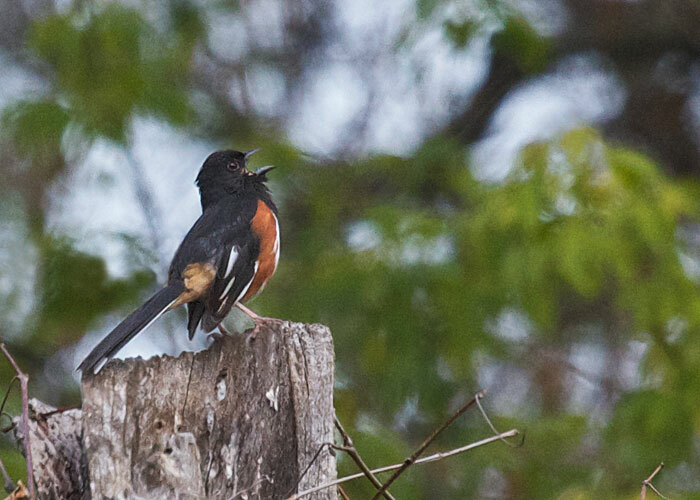 What a joy it is to hear the irrepressible song of the eastern towhee. "Drink your TEA!" You'd really have to see the whole snag rising 30 feet in the air, all festooned with vines, to fully appreciate what a commanding post this bird has chosen. The first optics a birder needs is a good binocular. If you then want to see distant birds, you will really enjoy a spotting scope.